I had opened a bottle of the ’05 Gran Reserva of this same wine for dinner with my family, which I felt was an outstanding selection. My father shared his delight with it and proceeded to go out and buy another bottle a few days later. Little did dad realize he bought the ’09 Reserva and gave it to me. To keep things “simple”, the difference in these wines is obviously the vintage year and the Gran Reserva is aged longer in oak and in the bottle. 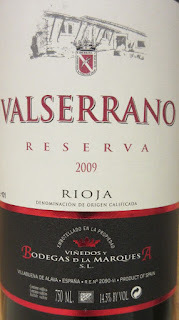 I decided to enjoy the ’09 Reserva with dinner a few weeks later and from the aromas alone, a balance of blackberries, crushed plums, black pepper and hints of toasted wood, gave me the impression there was something special about this wine. On the first taste a flavor bomb of rich, ripe dark cherries, currants and toasted oak had me craving more. My NY strip steak was grilling with a smoker box of mesquite chips and was about to be done. This wine was sure to pair perfectly. Velvet tannins with tight fruit on a lingering finish had me hooked on this amazing new find. Thanks dad! 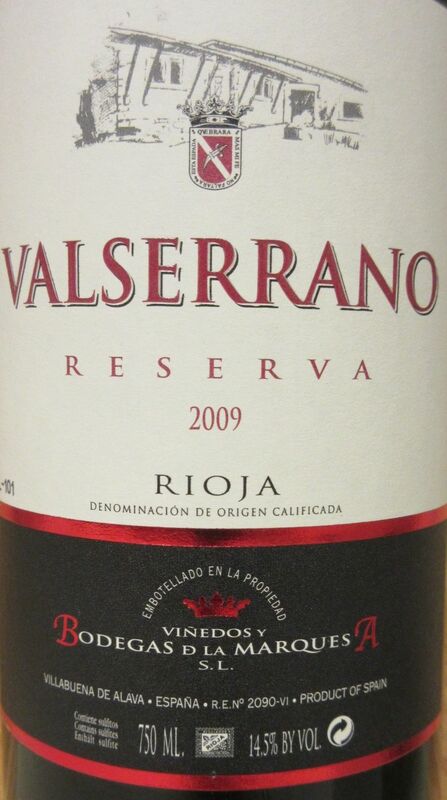 The wine is made up of 90% Tempranillo which is a predominate varietal in the Rioja region of Spain. 10% Garnacha makes up the remaining grapes and aged in 50% American and 50% French oak provided for a very nice balance. Full body, robust and just plain awesome! For the Reserva at this price point and overall taste structure, I’m making a return visit to the wine store to pick up more bottles before it runs out of stock. For reference, the Gran Reserva is great as well and goes for about $29.